I have finally bought myself a new bottle of Sennelier 'Encre de chine a la pagode', the best black ink you can find. I've dug out my old brushes to start ink drawing again. 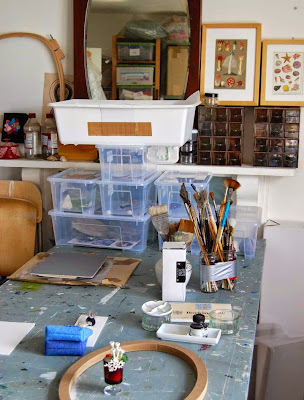 This is a snapshot of my drawing table, after I've tidied up! You should have seen it before. 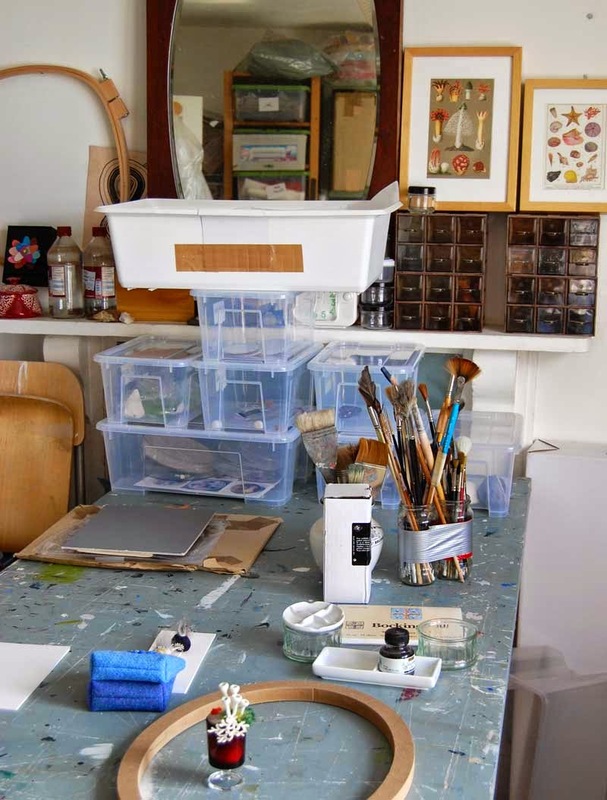 Don't let the plastic boxes fool you I'm organised, it is usually chaotic at best. I will be posting the results of my improvised drawings as they come along. Reminding me to get off my computer and back to work! Day 1 - Just playing.